With over 60 shades, Wella Colour Touch Medium Natural Gold Blonde helps you highlight your personality and shine with a new brilliance. Natural waxes condition the hair to create brilliant shine and vibrant colour. 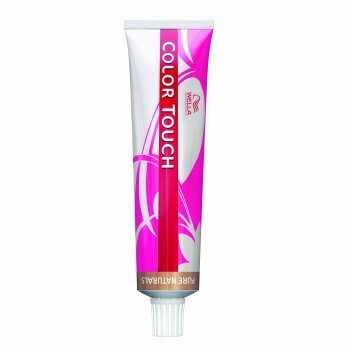 Colour Touch Plus gives intensified colour results whilst retaining its gentleness to the hair. Use it to create glossy natural looking multi-tonal colour with up to 70% coverage of grey hair. The Sunlights shades gently lighten your natural hair colour without covering it - making hair look as if it has just been kissed by the sun. Relights have been specifically developed to tone highlighted or pre-lightened hair. Available in 12 amazing shades with intense shine from pastel blondes to brilliant reds. Wella are one of the world&apos;s largest cosmetic supplies, founded way back in 1880. It is from this long and established reputation for premium hair products, that you can trust in Wella for your professional salon and services.